Robert Parks has kept track of local gas prices since 1995. 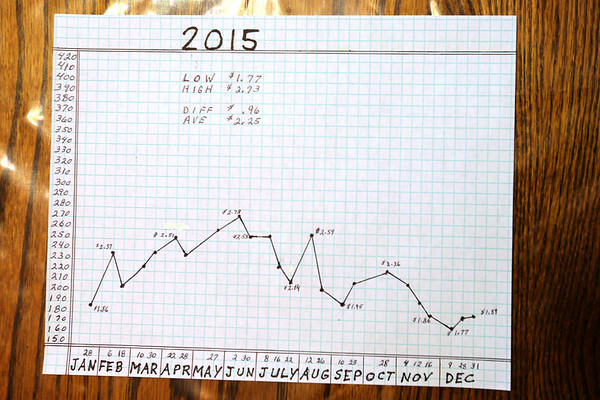 At the end of each year he charts out each time he fills the tank along with the high and low prices of the year. He points out some the significant changes that the charts show on Wednesday Feb. 8, 2017.